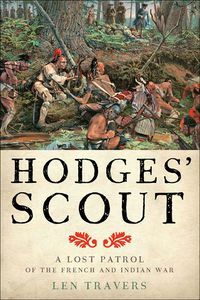 Johns Hopkins University Press has recently published Len Traver's new book Hodges' Scout: A Lost Patrol of the French and Indian War. Travers' book examines a group of colonial scouts who were ambushed on a patrol in upstate New York by French and Native American soldiers during the French and Indian War. Travers uses this massacre to explore the lives of the colonists who fought, died and even survived this massacre. Instead of focusing on a major battle, Travers tries to understand the people who were involved in this war by focusing on their lives before and after this traumatic event. 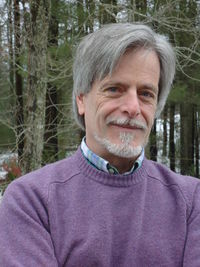 Len Travers is professor of history at the Univesity of Massachusetts Dartmouth and he is also the author of Celebrating the Fourth: Independence Day and the Rites of Nationalism in the Early Republic. Here is our interview with Professor Travers. 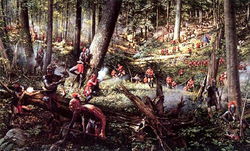 This incident took place during the French and Indian War. How would you describe upstate New York in 1756? What pressures were Native Americans and the European settlers experiencing in this area? To Euro-Americans, the nearly 200 miles between Albany and Montreal could seem like a wilderness of mountainous forest. To the people of the Iroquois confederacy who lived there, it was home. If the Appalachian Mountain chain had run uninterrupted through the region into northern New England, the war would largely have bypassed the area. As it was, however, Lake George and Lake Champlain formed a 150-mile water route through the mountains, practically guaranteeing that upstate New York would become a major battleground in the war. English (and old Dutch) settlement was mostly in the Mohawk Valley west of Albany, and did not extend much north of that town. French settlements were likewise thin on the ground, along the Richelieu River at the north end of Lake Champlain. In between, the Iroquois mostly hoped to remain neutral, as they had been for half a century while the French and English colonists engaged in a series of imperial wars. In eighteenth-century parlance, a “scout” was what we would call a patrol, an armed reconnaissance force. In the operations around Lake George in 1756, these were on average company-size units, about fifty men. The men who marched to their doom with Captain Joseph Hodges were mostly young, single men from eastern Massachusetts who had enlisted for a mixture of motives: adventure, a sense of duty, a young man’s “rite of passage,” and for the generous pay and enlistment bonus. A few of them were “hired” men, who had accepted a fee to enlist in someone else’s place. Such a one was Samuel Hunter, a “whalefisherman,” of Dartmouth, “about 28,” who allowed himself to be hired in the place of another man who had been drafted. Hunter, who pursued a notoriously independent lifestyle, and killed the biggest animals on earth for a living, could have had little to prove in the army. He eventually deserted. Andrew Allen of Gloucester assured his mustering officer he was sixteen years old, the minimum age for enlistment. That may have been a lie. Allen’s father had recently died, and a neighbor had been given the guardianship of Andrew, “a minor upward of fourteen years of age” in early 1755. Of legal age or not, Andrew must have prevailed upon his guardian to agree to his enlistment. Perhaps, rather than be apprenticed or put out to farm labor, the boy had chosen the adult world of a military campaign to establish his status as an independent male. If so, he chose poorly. Some of the men in Hodges’ Scout, perhaps most, were there for the money, at least in part. Eighteen-year-old Moses Emerson’s father was a poor Haverhill shoemaker, who died when Moses was only three. He was working as a farm laborer in 1756; for him enlistment surely meant opportunity and, perhaps, adventure. Similar considerations may have motivated Jonathan Barnes of Boston. His mother died when he was a child, and his father does not seem to have been successful. By 1756 he was working for a blacksmith--a decent arrangement that his father must have regarded as a success. Nevertheless, nineteen years old and on his own, Jonathan enlisted in the provincial army. He survived the fight in which Hodges died, but he would never see Boston or his family again. Some clearly needed the money more than others. John Erwin had a “very poor and . . . aged” mother in Dunstable, who evidently depended on her eighteen-year-old son for her support. Ebenezer Pratt of Bridgewater, also eighteen, had “no Relation but a Mother, who is a widow, not able to earn her own living.” He was still indentured as a servant to a local farmer when the war began; his wages due for his military service would go by law to his master, but Pratt was entitled to the substantial enlistment bonus, plus any lawful plunder or scalp bounties earned in the campaign. Financially speaking, service in a provincial regiment easily beat his present working arrangement, and would benefit both himself and his mother when he returned – if he returned. These are just some of the men whose life stories, or parts of them, are recovered in this book. Together their stories give us a “snapshot” of early American lives not commonly found in histories of the French and Indian War. You describe the incident that is central to this book as a massacre. Was this type of military encounter typical for the French and Indian War? Did this massacre play a larger in the French and Indian War? The war involved many more raids, ambushes, and skirmishes than European-style, set-piece battles such as at Ticonderoga or the Plains of Abraham, and in the aggregate accounted for a larger number of dead, wounded, and missing. Geography had much to do with this, of course – eastern North America was still heavily forested, while rivers and lakes formed barriers as well as waterways. As European armies tried to get at each other through this topographic tangle, they left behind them long, vulnerable supply lines that practically begged to be attacked. Reconnaissance parties moved ahead of the armies, and frequently came into contact with enemy scouts. And there was by this time a long-established “skulking way” of war in America, necessitated by colonial circumstances and adapted from both European and Native American traditions of irregular warfare – commonly called “guerrilla” or “asymmetrical” methods today. No modern history of the French and Indian War even mentions Hodges’ Scout. On the face of it, the omission is quite understandable. In terms of numbers, the loss of Hodges’ command was not of significant consequence to the conflict. Additionally, Hodges and his men died at the beginning of a long war, one that would see much in the way of high drama and make household names for British, Canadian, and American history: James Wolfe, the Marquis de Montcalm, George Washington. The history of warfare is like that. It tends to elevate a few individuals, and swallows hosts of others in obscurity. Historians are apt to write of wars as aggregate experiences: “generals” decide, “armies” move, “soldiers” clash, “casualties” mount, “the dead” are buried. Likewise, “captives” are taken – and then largely ignored. But in all of these cases, and on the home front as well, war was – and still is – felt and understood by its participants at the deeply personal level. Although largely forgotten, the story of Hodges’ Scout can tell us much about the war as ordinary young men – those without whom wars cannot be fought – actually experienced it and, for those who survived, remembered it. My story assumes that the experiences of ordinary men and women in war are as important, and their lives as compelling, as those of the “great.” And as it happens, in this case the great were never very far away from the ordinary. In the course of this story readers will see that Hodges and his men, obscure as they were, rubbed elbows (albeit briefly) with some of the best-known individuals of the war on both sides. What type of sources did you rely on for your book? Were you able to understand the massacre from both sides of this conflict? The collection of Massachusetts muster rolls for 1756, and the petitions of soldiers and families housed at the Massachusetts Archives, enabled me to reconstruct most of the roster of Hodges’ unfortunate patrol – either such a list was never made at the time, or it has since been lost. From there I consulted vital records – births, marriages, deaths – for the towns from which the men came, town records, church records, probate records – anything I could find to give me biographical fragments I could piece together. The first half of the book could not have been written as it was without the collected letters, orders, and reports of the campaign’s commanding general, John Winslow, held by the Massachusetts Historical Society. It’s extraordinary to me that these records have been virtually ignored by historians; they’re a treasure-trove of information for the day-to-day headaches that come with trying to conduct a campaign with inadequate supplies, a sick soldiery, and an obdurate enemy continually nipping at the edges of the operation. While I would love to have had more evidence from the “other” side – French and Native sources. But the former are few in number (the best source was the journal of Captain Louis Antoine de Bougainville) and the latter practically non-existent regarding this incident. Without such evidence, I adopted what I felt was the best strategy: just as I was not attempting a chronicle of the entire war, neither did I purport to “give equal time” to all the major combatants. I focused my attention on the fate of a discrete group of American provincials. To do so required that I build considerable context for their activities and stories, and this context involved British officers and soldiers, Canadian habitants, Native American warriors, and French officials. But this book is not about them. That, if it were possible, would be a much larger book. Considering the obscurity of the event, I think I was most surprised by the sheer volume of documentary evidence I could use to build the story. The surviving muster rolls and petitions, and the Winslow papers, mentioned above, provided the greatest number of truly significant surprises. There were a couple of “woo-hoo-and-fist-pump” moments in the Massachusetts Archives I recall with particular fondness. Anyone who has done historical research knows what I’m talking about. What impact did the massacre and captivity have on the surviving colonial volunteers? This was perhaps the most difficult aspect of Hodges’ Scout to assess. Those survivors of Hodges’ scout who returned home did so possessed of few resources with which they might start over. None of them had much in the way of personal estates, and only one possessed any land of his own. Their health had been greatly compromised by forced labor and inadequate nutrition. One, a robust seventeen-year old farm laborer when he left, was at the end of his four years of captivity among Indians and the French, a changed young man. He “came Home almost naked, and at present in a weakly state, not able to labour.” Poverty faced them all, initially. Among the first actions they took toward easing their situations was to petition the Massachusetts government for relief, citing lost wages, lost time, suffering, or some combination of all three. What they received was little enough; as historian Steven Eames rightly described it, “no more than a token acknowledgement of service provided and loss incurred.” It was almost all the financial help they would get. Did they look upon their experiences in providential terms? Christian teaching emphasized suffering as ultimately a positive process, a tempering of the soul that strengthened it to do God’s will. But only one in his petition narrative seemed willing to give credit where it was due when he wrote that, at the end of his captivity, “by ye Divine Blessing of Almighty God” he escaped to British lines. Returning to normalcy meant resuming the interrupted courses of their lives, and in no discernible way were the captives’ return to civilian life significantly different from those of most other returning provincial soldiers. The records of everyday life in eighteenth-century, small-town New England are scanty enough, to be sure, but there is no indication these veterans had any extraordinary difficulty in adjusting to the lives they had anticipated before extraordinary circumstances had intervened. Beyond what they revealed in their petitions, they did not write of their experiences, or at least no such account has come to light. Some married soon after their return. One survivor reenlisted for nearly every subsequent campaign of the war, and it was the last one that killed him, probably a victim of disease while on garrison duty. While most were done with military service for that war, there was another in the not too distant future. Several of Hodges’ men, middle-aged by that time, served in the Continental or state forces against their former British comrades-in-arms. How would you recommend using your book for a US colonial history class? If the course is taught chronologically, I should think it would work well as a reading for the latter part of the course, focused as it is on the experiences of colonial Americans caught up in a war they did not fully understand, but which had enormous implications for their immediate future. 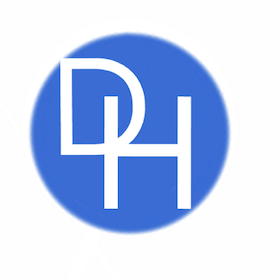 Alternatively, it can stand as an exercise in historical forensics, and encourage students to find connections to historical epochs in their own communities.